Our protocols are due for launch spring 2018. They are currently being developed and one of the primary goals is to keep the platform as simple as possible to use. 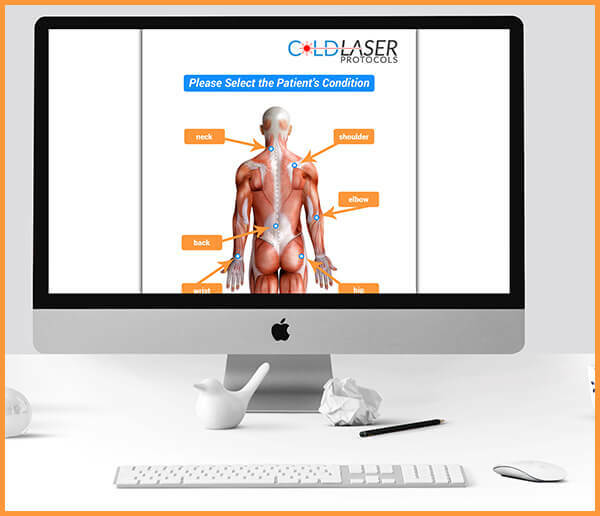 This is to make it easy for doctors, chiropractors, physical therapists, technicians, or whoever is qualified to use cold laser equipment to quickly and accurately enter patient information and symptoms. This enables them to focus on the patient, and to be able to simply go through the motions of entering the relevant data into the software to obtain the optimal protocols to apply to the patient. As a doctor myself, I understand the need for simplicity. I am very busy and if I find something slows me down or impedes my ability to treat patients, then I will very likely discard whatever application I am using. At the end of the day, getting my patients out of pain is my primary concern. And I’m sure it is for most doctors. This is why I am working extremely closely with the developers of our protocol software. One of the other exciting aspects is the dynamics of the software as it will be constantly evolving and all data received by the app from doctors using it, anywhere in the world, will be analyzed and used in improving the protocols for the future. Our own protocols which we have been using for the past few years have enabled us to get to an 80% success rate. Doctors using the protocols and entering their patient’s symptoms and applying the protocols will create new data for us to be processed and fine tune and tweak the software. The ultimate aim being to exceed the 80% success rate and push on up to the 90% mark and even beyond. The more patients receiving our protocols, the more information we have to improve the protocols further, and this will help your patients, and ultimately help your practice become the number 1 results driven practice in your area. In short, our protocols will be dynamic, they will be updated frequently based on the latest data received from our users across the nation and even the globe. So sign up today and get our pre-launch news and pre-launch pricing!